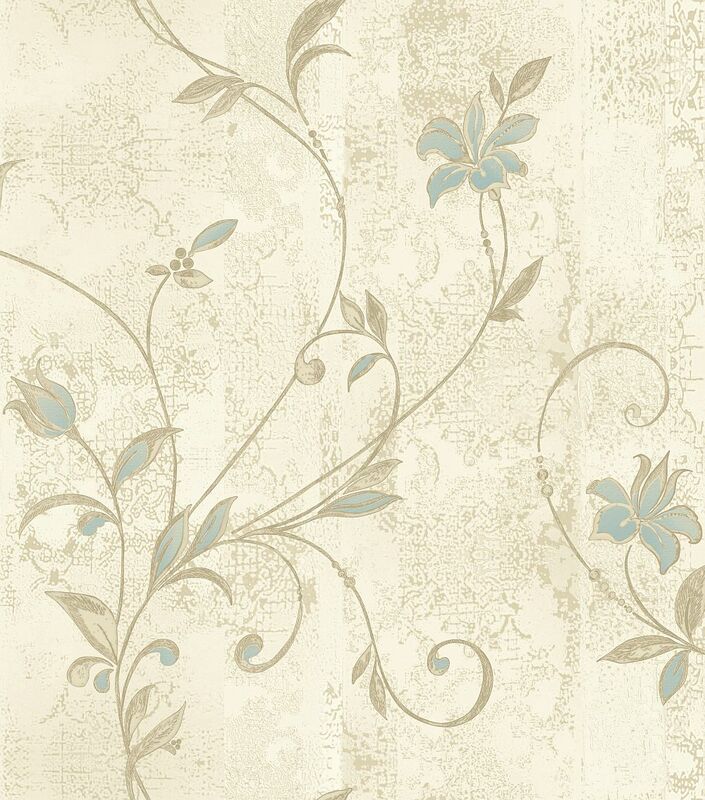 A stunning Italian textured vinyl wallcovering with a delicate curling floral trail overlaid on a distressed plaster effect background. Co-ordinating background available. Shown here in the Teal blue on Cream colourway. Please request sample for true colour match.